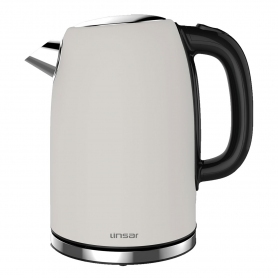 This electric kettle from Linsar comes with great style and a range of handy features. The JK115WHITE is available in a clean white finish to suit any kitchen. As it’s exclusive to Euronics, you won’t find this appliance anywhere else. Linsar has designed the JK115WHITE with functionality in mind - without compromising on style. For the ultimate flexibility, the kettle sits on a 360-degree cordless base, so you can fill and pour it with ease. The one-button open lid also adds an extra fuss-free feature. If you’re looking for a trendy kettle to suit your contemporary kitchen, the JK115WHITE is a top choice. 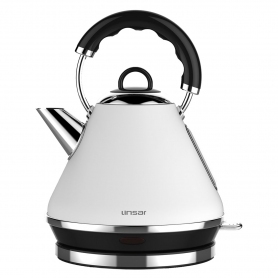 These Linsar kettles come in high-quality stainless steel, which is long-wearing and won’t affect the taste of the water. The stylish JK115WHITE from Linsar is full of useful features and exclusive to Euronics. Why not get your hands on one today?